A new book by MIT’s Robin Murphy documents the use and performance of tactical ground, aerial, or marine robots at 34 incidents between 2001 and 2013. 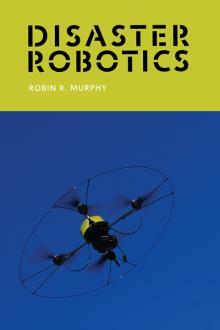 This book offers the definitive guide to the theory and practice of disaster robotics. It can serve as an introduction for researchers and technologists, a reference for emergency managers, and a textbook in field robotics. Written by a pioneering researcher in the field who has herself participated in fifteen deployments of robots in disaster response and recovery, the book covers theory and practice, the history of the field, and specific missions. Available through the MIT Press, Amazon, and as a Kindle eBook.